I work in a place where we have a lot of kiosk pc’s and pc’s that people can borrow. This mean that it is a first logon (almost) every time someone is logging in to Windows. The first logon time is not very fast in Windows 10, in fact it is very slow. There are some thing that you can do to speed up the first login time. Recommended settings for Windows 10 is UEFI with secure boot enabled. But you can’t change the Bios boot to UEFI boot with the build in steps in SCCM. But here is a quick and dirty way to do it semi automatic. 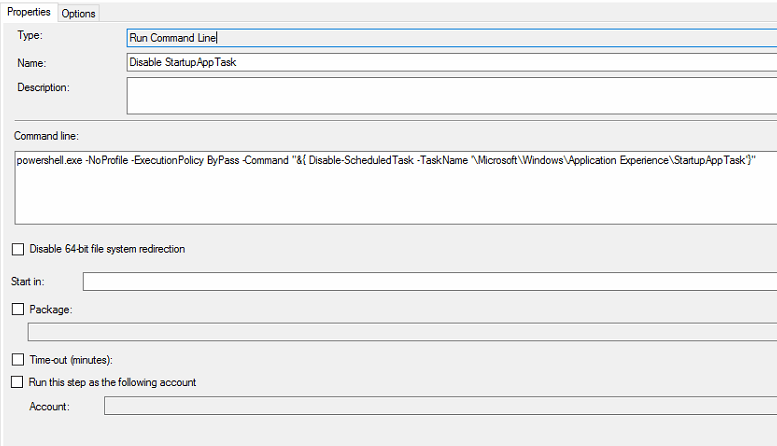 You should have an Task sequence Available and not required for your Windows 10 deployment. Thanks to Mike Terrill blog post for the inspiration. If you don’t want all the default Windows Store Apps that comes with Windows 10, then you can follow this guide. Removing Windows Store Apps will also make the first logon faster. 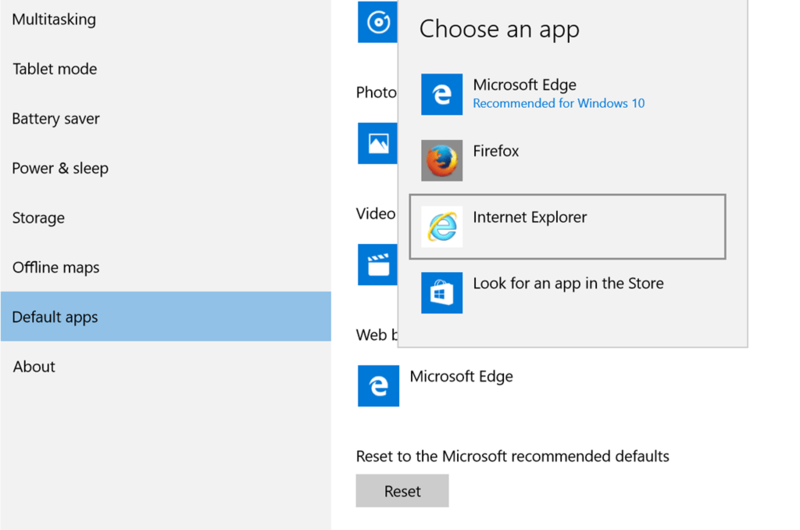 Microsoft Edge is the default browser in Windows 10. You can change that and apply the setting during OSD. Here is how. 1. Login to a reference machine. Note: You can also make settings for other default apps, as we will export default settings for all apps. 4. 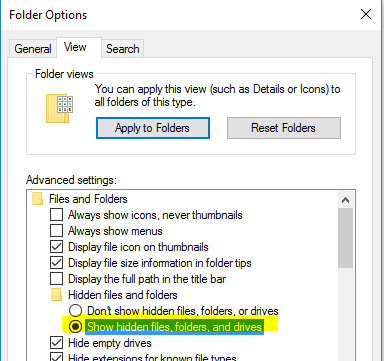 Create a folder called “DefaultApps” on the C drive. Follow this guide to manage windows 10 taskbar via OSD. Thanks to Jörgen Nilsson for the inspiration. 1. Download ManageTaskbar-1.0.zip and extract it on your reference machine. 4. Copy the folder “C:\Users\%username%\appdata\roaming\Microsoft\Internet Explorer\Quick Launch” folder to the “ManageTaskBar” folder. You can do the following to get rid of the “Disable apps to help improve performance” message. This will disable the scheduled task in Windows. This PowerShell script will take the users profile picture from AD and add it to the local user profile in Windows 10. 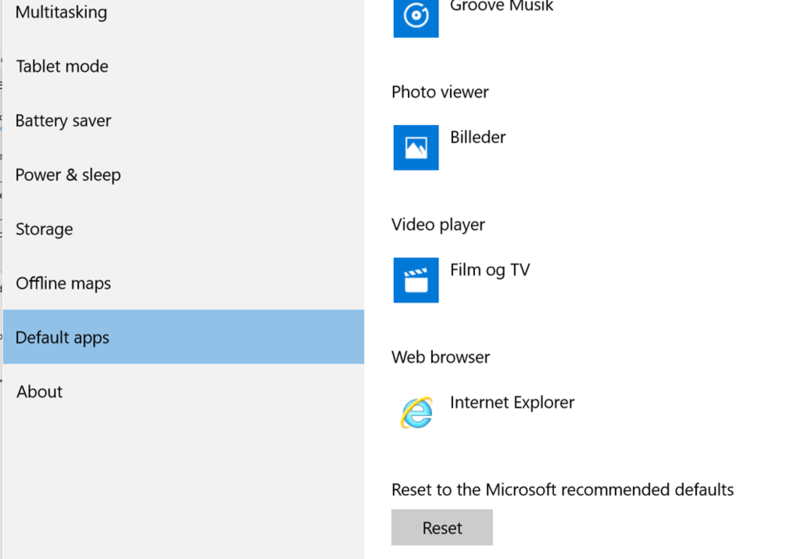 The script comes originally from this blog: http://blog.jocha.se/tech/ad-user-pictures-in-windows-10. But I have changes it a little. At some point in time, I will take the better quality photo from Exchange instead of AD. But that will come at a later time. You can run it as a GPO logon script. See this post. Get the Script “UserPicture.ps1” here. Sometimes I need to do things when the computer starts up or when a user logon. A good way to do that is with a GPO startup script or a GPO logon script. 4. 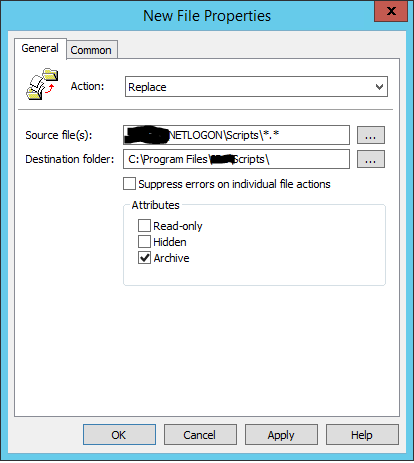 Action = Replace, Source file(s) = “The folder where you have you scripts.”, Destination folder = “The folder where you want to copy the scripts”, Archive = Yes.